In a speech in Preston today, Shadow Chancellor John McDonnell has announced the formation of a Community Wealth Building Unit which will promote co-operatives and mutuals as a means of driving local economic growth across the country. The Co-operative Party will work with Labour, trade unions and thinktanks to promote its innovative community wealth building model to communities across the UK, Shadow Chancellor John McDonnell announced today. 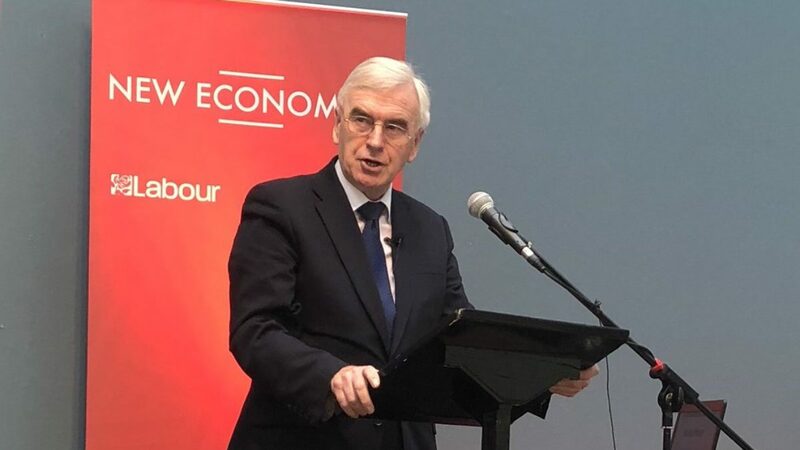 The Shadow Chancellor was speaking at a conference in Preston, where the Labour & Co-operative City Council's groundbreaking approach has received widespread attention. Under the so-called 'Preston Model' - inspired by successful examples America's Rust Belt - Preston City Council has worked with local anchor institutions such as universities and hospitals, as well as through its own procurement practices, to ensure a greater share of the money they spend stays in the local economy. Simultaneously, the Council has worked to support the growth of local worker-owned co-operatives, the development of a not-for-profit community savings bank, and other initiatives that will maximise the wider social benefit of spending locally. So far, the approach has seen more than £200 million returned to the local economy, and supported more than 1,600 jobs. Over the past two years, the Co-operative Party has worked closely with the Shadow Chancellor and councillors leading the initiative in Preston including Matt Brown to investigate how lessons from the City might might be and used to transform communities across the country that have been hit hard by austerity. This resulted last April in the publication of our Report 'Six Steps to Build Community Wealth', which sets out a practical guide that Labour & Co-operative councils can use to bring these principles to their own area. That work has culminated in today's announcement by the Shadow Chancellor of the formation of a new Community Wealth Building Unit, which will work with Labour councils to learn the lessons from Preston, and to provide councils with knowledge, advice, and practical support. The Co-operative Party will join with trade unions, think tanks and other organisations with expertise in this area to advise the new unit and to drive the work forward. “The next Labour government will end austerity and properly fund local authorities, instead of cutting back and passing the buck like the Conservatives are doing. But we cannot afford to wait until we are in power nationally. “There are many creative solutions being used already, like in Preston, and we need to spread this inspiring work around other Labour councils now, so we can bring services back in house, stimulate the economy and provide decent jobs, extend ownership and control, and strengthen local democracy. “The inspiring work of innovative councils such as Preston is proof that we don’t need to wait for Whitehall to begin building an alternative based on our values. In 2013, the six local public bodies spent £38m in Preston and £292m in all of Lancashire. By 2017 these had increased to £111m and £485m respectively, despite an overall reduction in the council’s budget. Sign up for a supporter, and we'll keep you updated with occasional emails about our campaigns, events and information about activity in your local area.